The other I spotted piles of eggs being sold in Hinche Haiti. The seller told me that these eggs were actually produced in plateau centrale Haiti... Ze Peyi so to speak. The vendor told me that these eggs came from a chicken farm in Plateau Central Haiti. 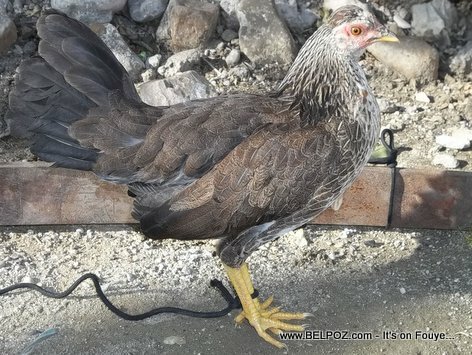 That's good news my ears because I had a friend of mine who had to close his chicken farm in Hinche because he could not compete with the mass quantity of chicken and eggs crossing the border into Haiti. It's the responsibility of the Haitian government to make laws protecting products made in Haiti by taxing those that are imported. That's the only way Haiti can save its economy. This apply as well to all other imported goods being smuggled into the country. That is absolutely good news! ZE poul blansh ki fet Haiti se ZE PEYI pa vre?